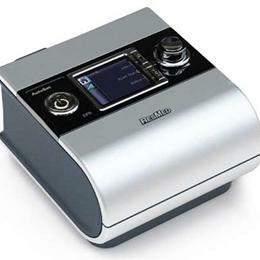 The S9 Elite is the newest, most advanced Continuous Positive Airway Pressure (CPAP) device Fitzsimmons offers. 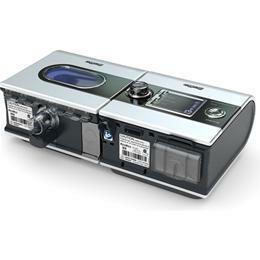 It is the premium CPAP in ResMed's S9 series. The device features user-friendly technology to enhance your breathing comfort and reduce system noise. Designed for a more natural breathing experience, the S9 Elite's enhanced Easy-Breathe technology delivers whisper-quiet therapy from the device and the mask. 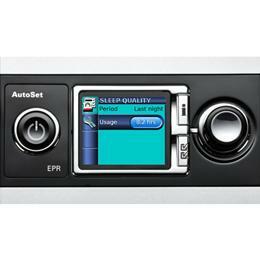 And with its sleek contours and compact size, the S9 Elite looks as natural at your bedside as a clock radio. 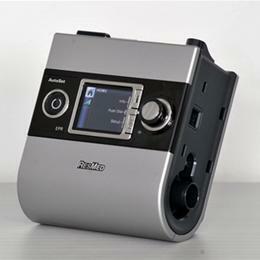 The complete S9 system comes with the S9 Elite CPAP unit, the enhanced H5i Heated Humidifier, SlimLine performance tubing, an SD Memory Card, power supply and cord, disposable filters, and owner's manual, all in a convenient carrying case. 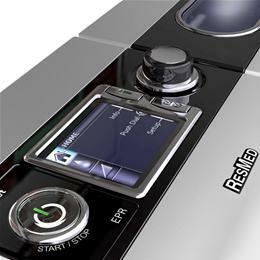 For a much closer look at the S9 sleep therapy system, including a very detailed explanation of all the device's capabilities, high resolution images with descriptions of every feature and component, some information on the system's technology and SD card, and even directions for set-up, usage, and maintenance, click on the Product Information PDF located below, under the Additional Resources tab. For an in-depth look at the technical specifications of the S9 Elite flow generator as well as some additional benefits, standard and optional accessories, and enhanced pictures, click on the Product Detail PDF, also located below under the Additional Resources tab. 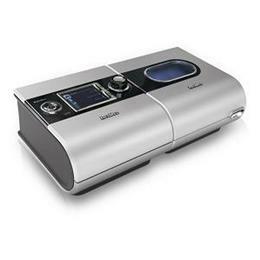 Finally, click on the Patient Brochure located below for a better understanding of sleep apnea and the benefits of therapy with the S9 series devices, and to learn more about the device's many innovative features, like Climate Control and Easy-Breathe technology.